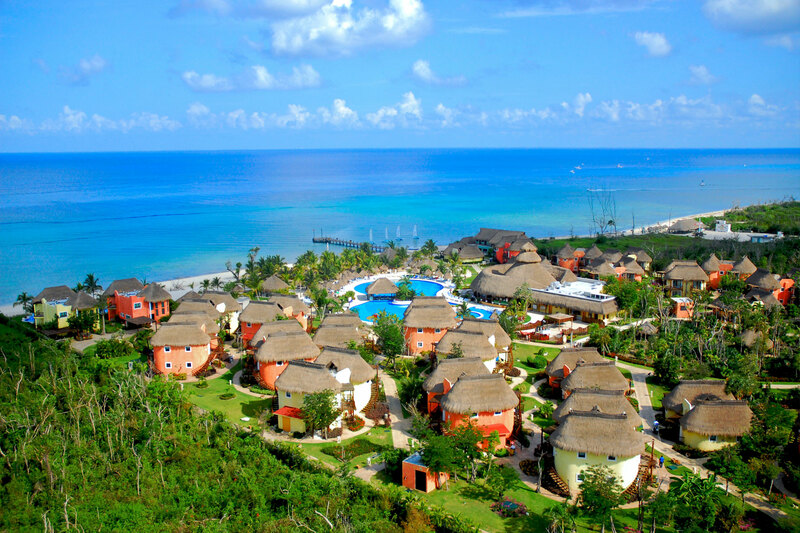 A premier property on Cozumel Island in Mexico’s Caribbean…. private, secluded and upscale, yet surprisingly affordable…. 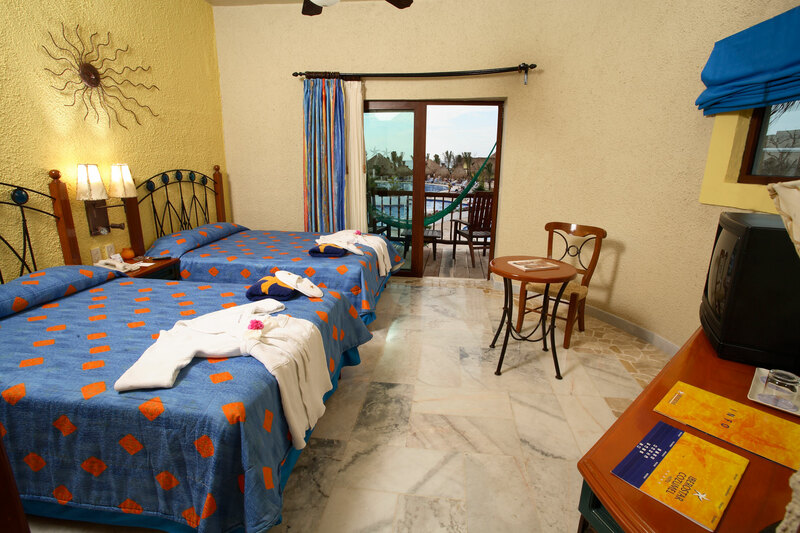 you won’t be disappointed at Iberostar Cozumel! 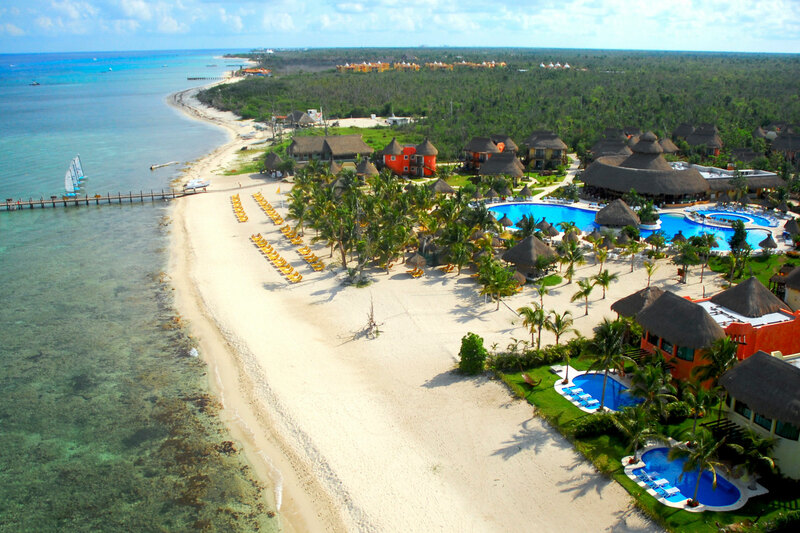 This luxury all-inclusive resort is located about 12 miles south of Cozumel’s downtown area, on a secluded private beach with incredibly clear water bathing its shores. Divers enjoy short boat rides to the island’s most popular dive sites, including famous Palancar Reef and the Santa Rosa wall – most are within a 10 minute boat ride from the resort’s pier. Daily list of resort activities such as dance classes, aerobics, air rifle shooting, archery, and billiards. 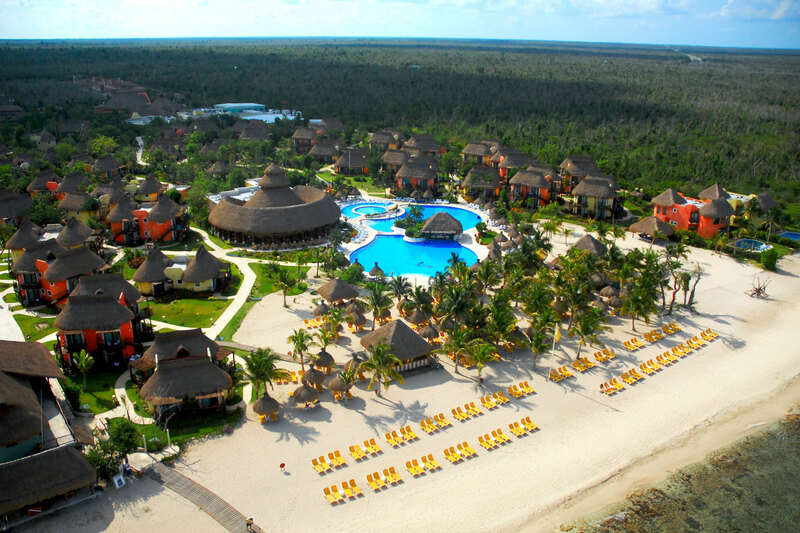 The Iberostar produces new shows for children and adults each evening. Please note the following a la carte restrictions: Stays of 3-4 nights are guaranteed one reservation for a specialty restaurant. 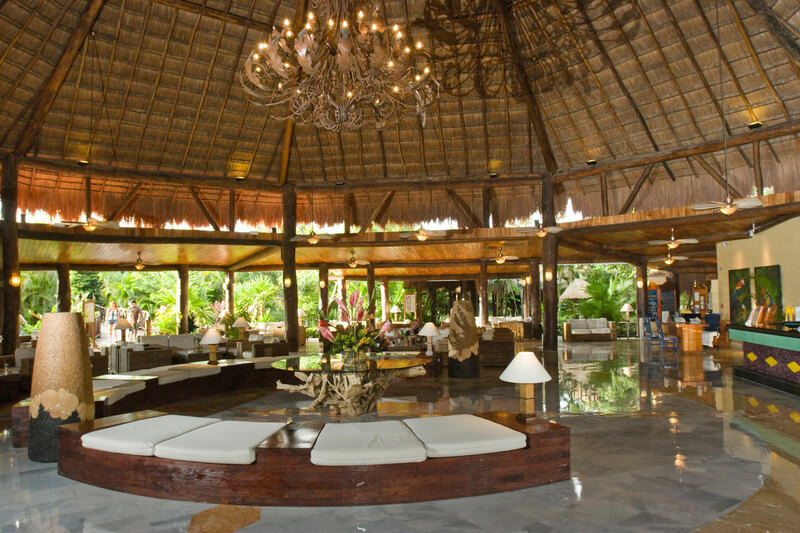 Stays of 5 nights or longer are guaranteed three reservations for a specialty restaurant. Additional reservations are based upon availability. All other dining will be at one of the hotel’s buffet restaurants. 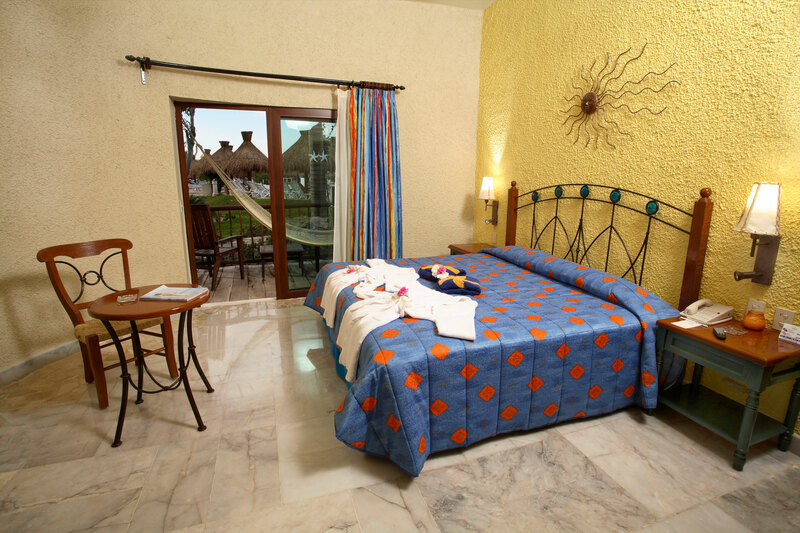 Beautifully landscaped with lush jungle foliage and tropical flowers, ponds, and meandering walkways… the rooms are grouped in one- and two-story thatched-roof buildings… flamingos and friendly peacocks roam around the rainforest-style grounds. In-room amenities – All rooms are equipped with air conditioning ceiling fan, private bath with shower and hair dryer, private terrace or balcony, satellite television with remote control, mini-bar, direct-dial phones and safe deposit box.